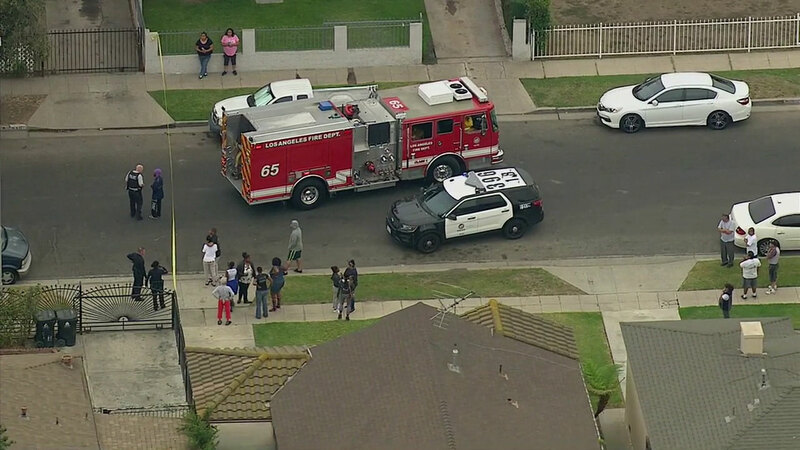 SOUTH LOS ANGELES (KABC) -- Two people were hospitalized in unknown condition after being shot Wednesday morning in the Green Meadows neighborhood of South L.A., authorities said. The shooting happened at about 10:30 a.m. in the 900 block of 94th Street, said Officer Irma Mota, a spokeswoman for the Los Angeles Police Department. Two suspects were observed running from the scene, according to witnesses. The extent of the wounded patient's injuries was not immediately clear, and it was unknown how many times each of them was shot. Investigators from LAPD's Southeast Division were seen at the location on a residential street, along with members of the Los Angeles Fire Department.